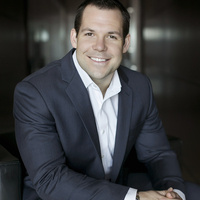 Johnny Quinn is a professional speaker and travels the globe to inspire audiences by delivering thought-provoking and action-packed messages to businesses, teams and organizations. He is a U.S. Olympian in the sport of bobsled and competed at the 2014 Winter Olympics in Sochi, Russia. Johnny is also a former pro football player spending time with the NFL’s Buffalo Bills, Green Bay Packers and Saskatchewan Roughriders of the CFL. Johnny has been featured on varies media outlets around the world, such as: ABC, BBC, CBS, CNN, ESPN, FOX, NBC, TIME, USA Today and the Wall Street Journal. When Johnny is not on the road speaking, he owns and operates the Johnny Quinn Insurance Agency, helping families all over the state of Texas with their insurance needs. Johnny’s newest book, PUSH: Breaking through the Barriers is availble on Amazon, Barnes & Noble and Target. Johnny, his wife Amanda and their daughter Amelia, reside in McKinney, Texas.